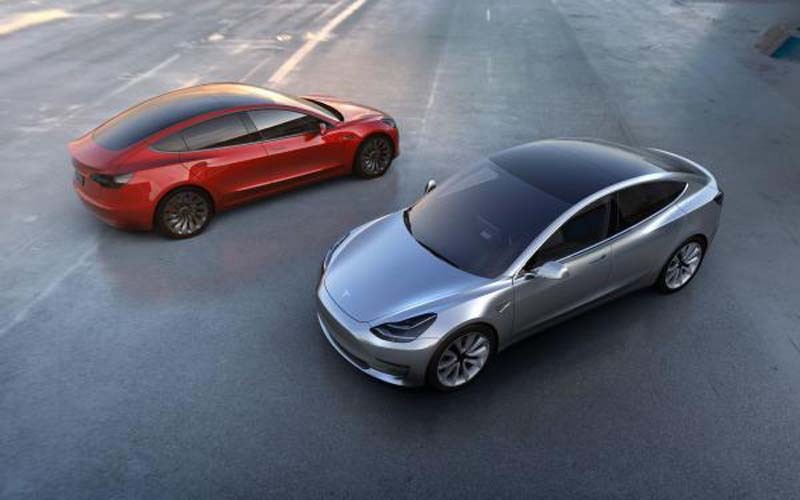 Tesla has halted production of its Model 3 sedan for the second time just days after CEO Elon Musk said he would try to speed up production of the long-awaited vehicle. Tesla employees told Buzzfeed News that the pause came without warning and would last up to five days. Employees affected by the production pause will have to use vacation pay or stay home without pay if they can't be found work elsewhere in the Fremont, Calif. factory. Dennis Virag, an automotive manufacturing consultant, told the Wall Street Journal that halting production is an unusual step for a car manufacturer. "It's unheard of in this day and age," Virag said. Tesla's first production pause came in February. At the time, a Tesla spokesperson said the pause was "to improve automation and systematically address bottlenecks in order to increase production rates," according to Bloomberg. "This is not unusual and is in fact common in production ramps like this," the spokesperson added. The latest pause comes just days after Musk invited camera crews from CBS News to tour the factory -- the first time he has allowed news cameras in the facility -- and said he personally took over the Model 3 production line at the beginning of April and got the assembly line back on track after the first halt in February. "We were able to unlock some of the critical things that were holding us back from reaching 2,000 cars a week. But since then, we've continued to do 2,000 cars a week," he said. "We'll probably have, I don't know, a three or four-fold increase in Model 3 output in the second quarter." On Twitter, Musk said "excessive automation" was to blame for the problem before he took over the "Yes, excessive automation at Tesla was a mistake," Musk wrote. "To be precise, my mistake. Humans are underrated."